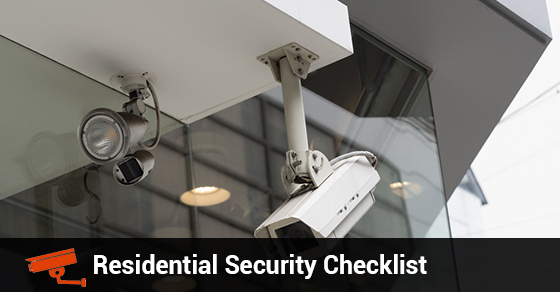 Your Residential Security Checklist: Essential Features To Keep Your Home Safe | Calgary Alarm Inc. Being a homeowner can come with a lot of worries, especially surrounding the safety and security of your family. There are many options for residential security systems, especially as technology advances, making smart home monitoring and home automation more attainable for all. There are many reasons people choose to install residential security systems. They protect us and our families, including our pets, from fire and other environmental emergencies, as well as deterring burglars and alerting everyone should a break-in occur. There are also many ways to customize your residential security system, which can be helpful for those who are living with special needs, small children or elderly relatives. The Basics: A basic home alarm system uses sensors to detect break-ins or environmental changes. Motion sensors are usually installed by doors and windows, as well as smoke and CO2 detectors in vulnerable areas such as the kitchen. Control Panel: Your residential alarm system can be controlled centrally from a control panel and keypad installed by the door, as well as a key-fob remote. Two-Way Voice Services: In an emergency, it can be difficult to think clearly. You may not be able to reach the phone in time. With two-way voice services, you will be connected to the dispatcher as soon as the alarm is triggered. They will be able to speak to you as well as hear you, and hear what is happening in the house. This is especially helpful for children, or for those who are vision impaired or otherwise differently abled. Skyguard GSM Transmission: This takes away the need for a traditional phone line, so the alarm will still be triggered and emergency services alerted in case the phone lines have been cut. Interactive Video Surveillance and Image Sensors: Interactive video surveillance and image sensors allow you to view video or have images sent to you in real time, from wherever you are, using a tablet, smartphone or computer. As you can see, there are many options for home security, all of which can be tailored to suit your unique home and needs. Contact Calgary Alarm today to discuss which residential security is right for you.